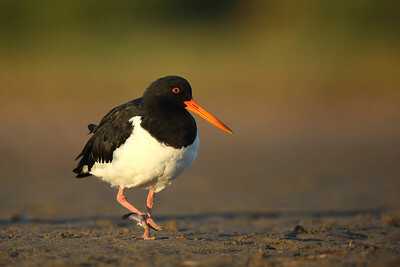 Australian Pied Oystercatcher (Haematopus longirostris). 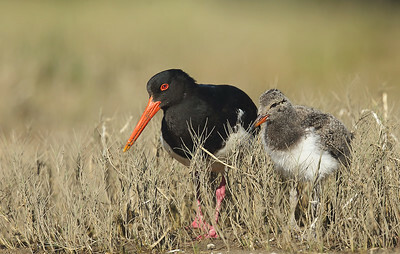 Australian Pied Oystercatcher (Haematopus longirostris) adult. Having a bit of a wing stretch is good for the soul. Sooty Oystercatcher (Haematopus fuliginosus) adult. Sooty can't resist a cunjevoi.